Your data is important to you and to your business. It is absolutely essential to have a reliable backup system in place, but understanding and implementing a reliable backup system can seem like a daunting task. 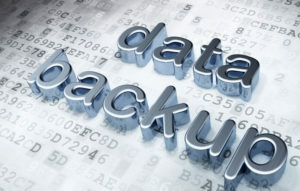 There are several components to a quality data backup system. There are so many options in backup software that it can be hard to choose the right one. The first thing to know is that price means nothing. Sometimes the most expensive choice is not the best fit. Often times a free software solution works best. You have to consider what is being backed up and understand the choices. We help you do that. Backups need to happen automatically on a schedule that makes sense to your business. CZONE can automate backups for you whether they run once per week or three times per day. Backing up your data is not enough. What happens if your backup drives are stolen or destroyed by fire. You must be sure your data is safe by keeping a recent copy of your backups offsite. We can design a backup disk rotation plan for you or even setup automated, offsite backups without you ever carrying a hard drive out of the office again. There is nothing worse than experiencing a computer or server crash only to find out that your backups are corrupted or have not been running as you expected. We can help you with a plan to verify that your backups are running and that you can actually restore from them. CZONE can configure and monitor your backups so you have one less thing to worry about. Ask us about our Managed IT Service. We monitor the backups and address issues before they become problems. Do not be the business owner that says “I was going to setup backups, but I never got around to it” when the server crashes. Contact us today. No more waiting. Contact us today at (716) 777-4310!